Colin and Karen McIntyre shop all year long preparing for Christmas. 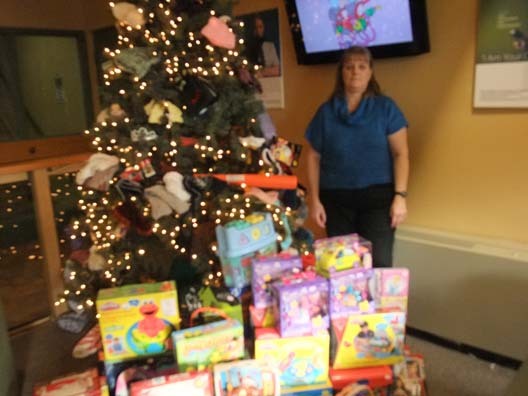 They have graciously again this year donated toys for our families in the community. Shown in the picture is Karen (Colin) is camera shy.